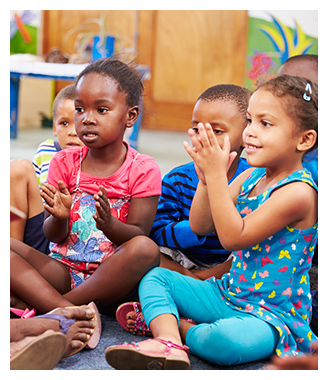 SRA’s goal is to provide safe, educational, and affordable childcare for our students. We offer a wide variety after-school activities to enrich the mind, body, and spirit of our students. Our program runs after school from 3:15 to 5:15 p.m. on full school days. Please make your payment in a timely manner, as we allot spots on a first-come, first-served basis, and we can reserve your space only after we’ve received your payment. Timely payments will secure your child’s spot for the following month only. We’ll follow the same payment process for each subsequent month. Please remember that we require payment before your child can attend the program. We believe children need to relax, play, and have a snack after a rigorous day at school. Our after school program provides our students time to do just that. We’ll keep them safe for you while they let loose, have some fun, and just be kids. And if they want to get their homework done while they’re here, we have a place for them to do that, too. Our affordable rates will make everybody happy! All payments are due before your child can attend. Please leave your payments with the ASP director or at the front office, and make payments payable to SRA-ASP. *Reduced rates are available for those that qualify for free or reduced lunch. Please call our office with questions. 5:16–5:30 p.m. - $5.00 fee. 5:31–5:45 p.m. - $15.00 fee. If a child is still not picked up by 5:45 p.m., and we cannot reach a parent or guardian, we are required to contact law enforcement.